Though there are several different methods to mount artwork, we typically use Bainbridge Artcare Archival Foamcore and Japanese T-Hinges. 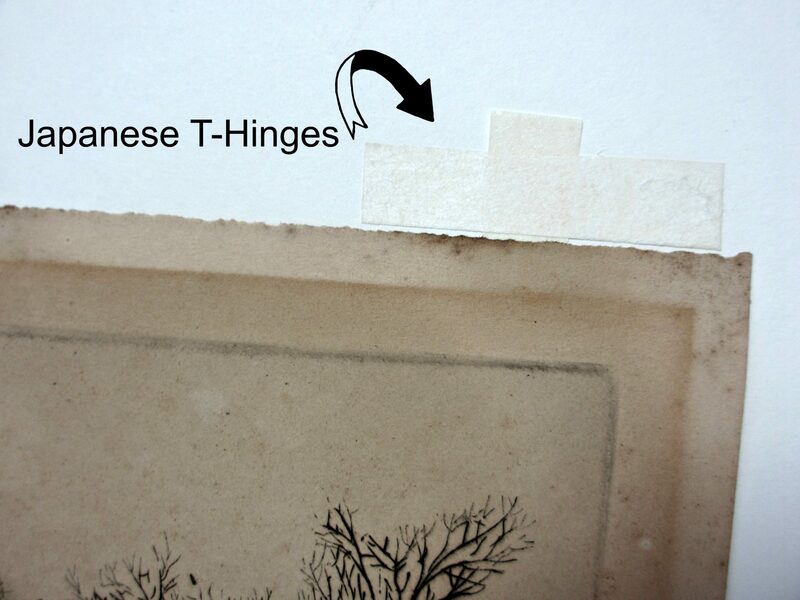 We prefer this method because it is archival, reversible, and allows the artwork to expand and contract. 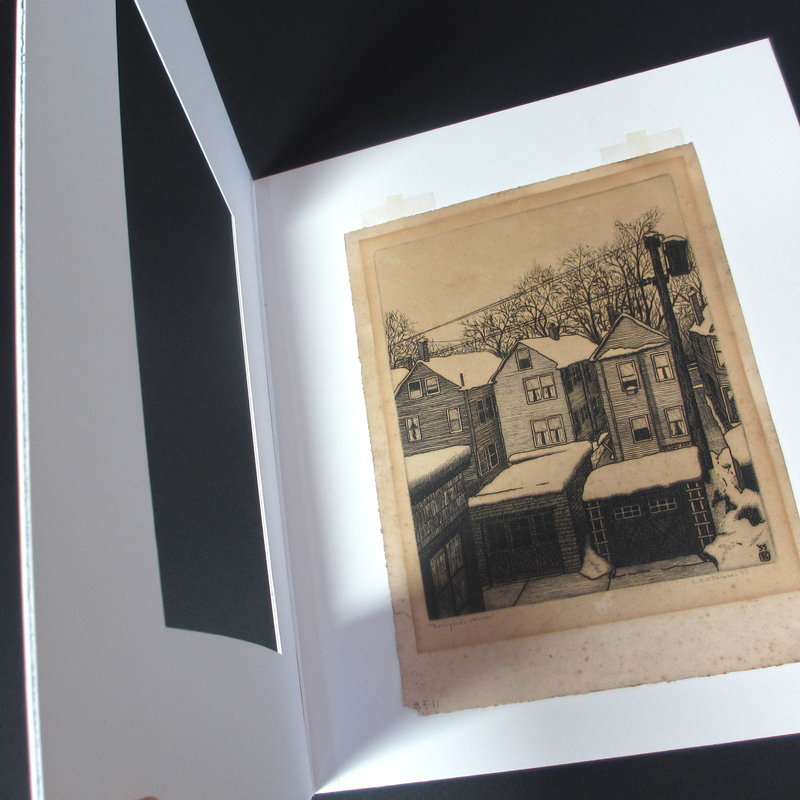 This is especially desirable for works on paper and photographs. If we ever needed to remove the picture from the frame, this process allows us to safely undo the mount so the object can be returned to you in the condition you brought it in. Dry mounting is another option available to you at Rose City Framemakers which involves a heat activated glue and regular foamcore. As this process is permanent and non-reversible, we recommend it for works easily replaced like posters, printed photos, or items in need of flattening. At the moment, this option is not archival. Works of art on canvas, whether oil or acrylic paintings, are stretched on stretcher bars. Gallery bars (extra thick bars) that require no additional framing are available. 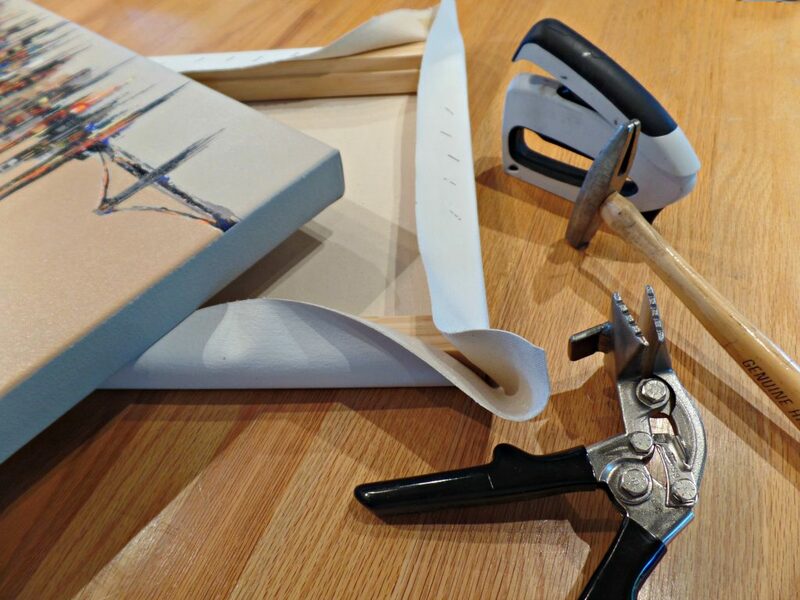 These “gallery wrapped” canvases are a chunkier look to mount paintings on canvas, usually acrylics. There needs to be at least 4″ of salvage canvas around the image to wrap around the deep stretcher bars. All staples are on the back and are not seen from the sides. This method is usually hung unframed or in a deep floater frame.